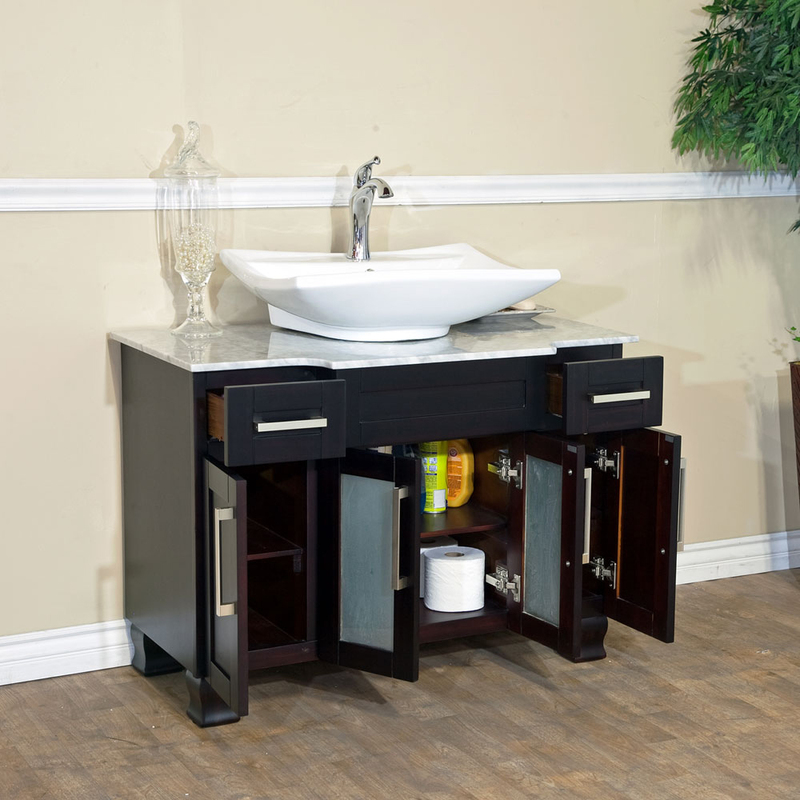 The boldness and elegance of the Canete Single Bath Vanity will bring to your bathroom a style that's all its own. 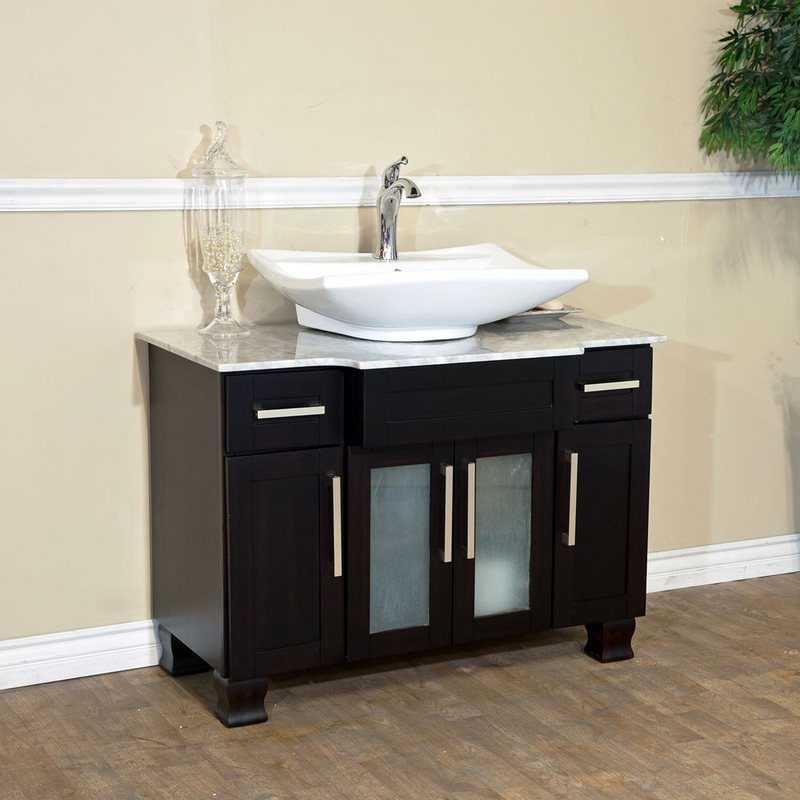 Constructed from solid birch, this beautiful vanity was crafted with quality craftsmanship that features integrated rabbet joinery and high-grade commercial glue for a look that's as durable as it is stylish. 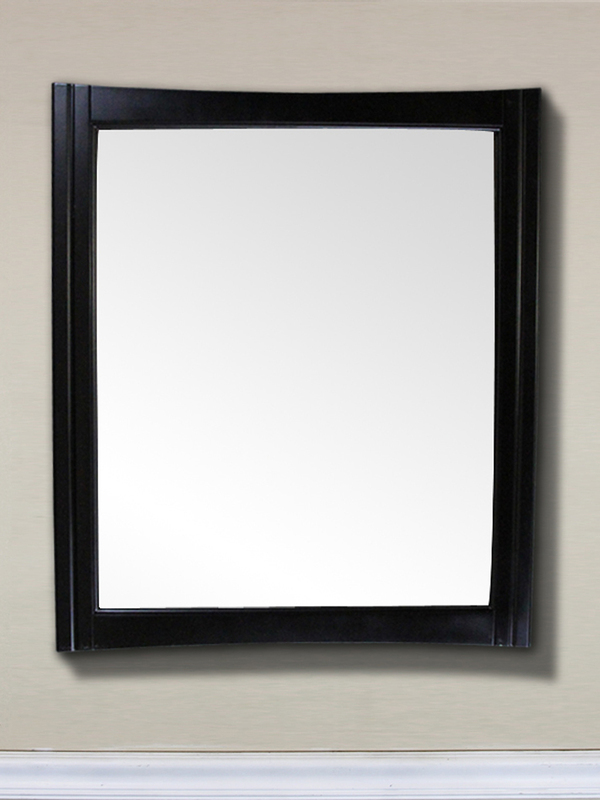 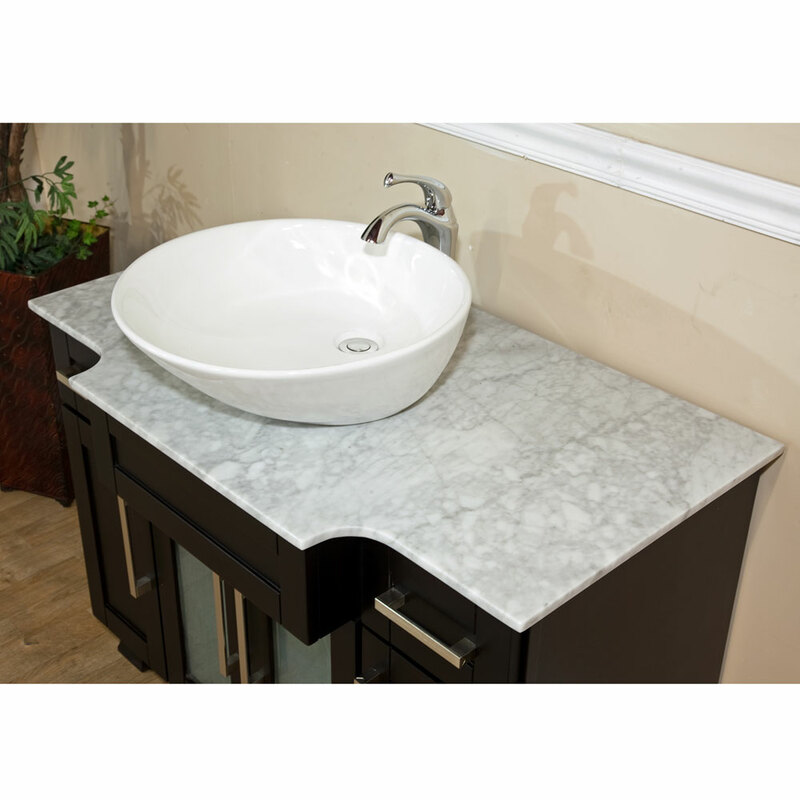 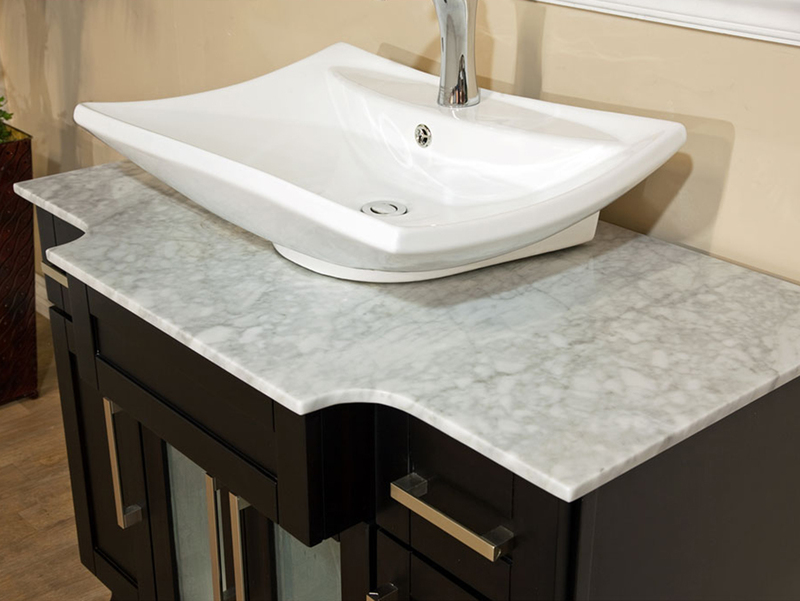 The vanity features a deep Ebony finish that's accompanied by a central double-door cabinet with frosted glass inserts, a White Carrera Marble top and a round ceramic vessel sink. 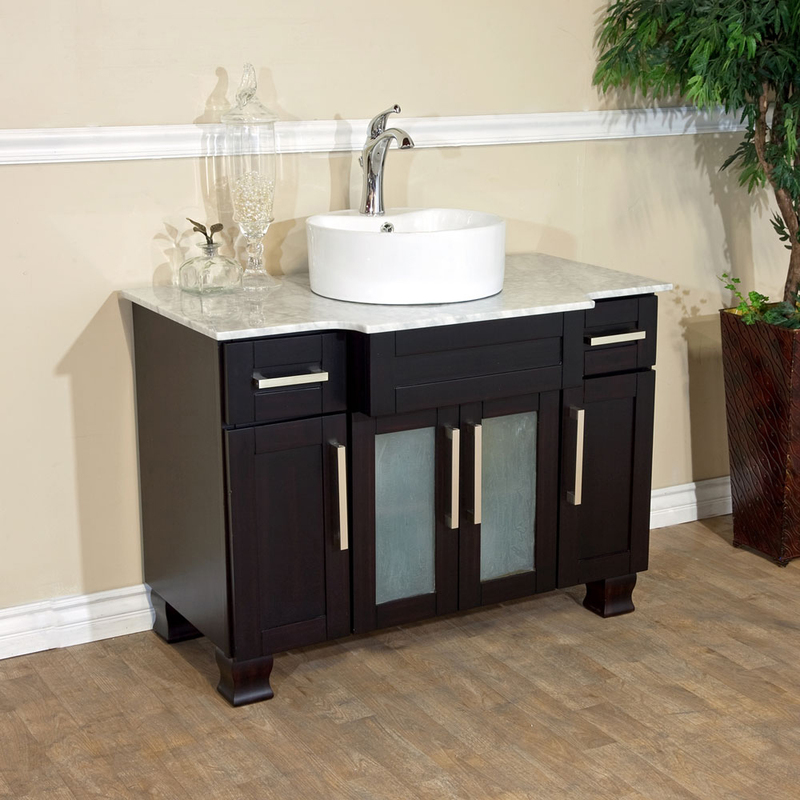 Two side cabinets along with the central double-door cabinet offers plenty of storage room, all of which has been adorned with Brushed Nickel hardware. 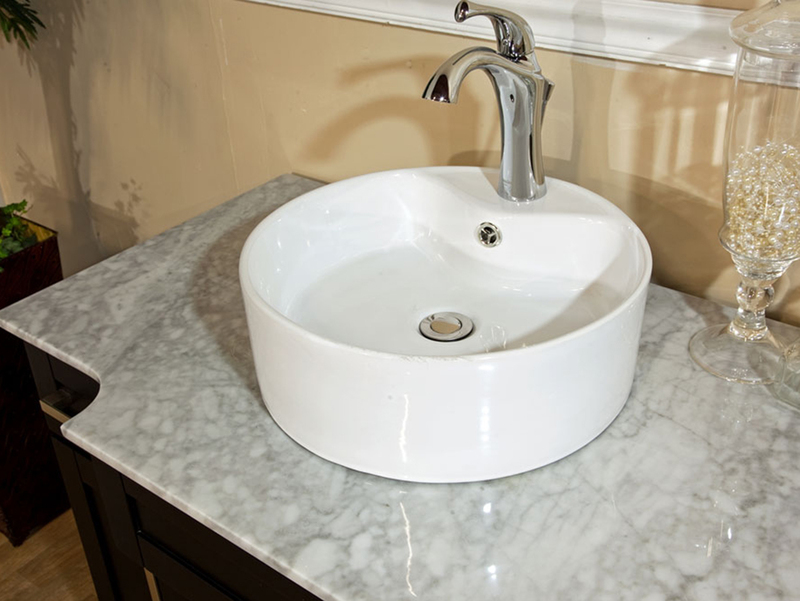 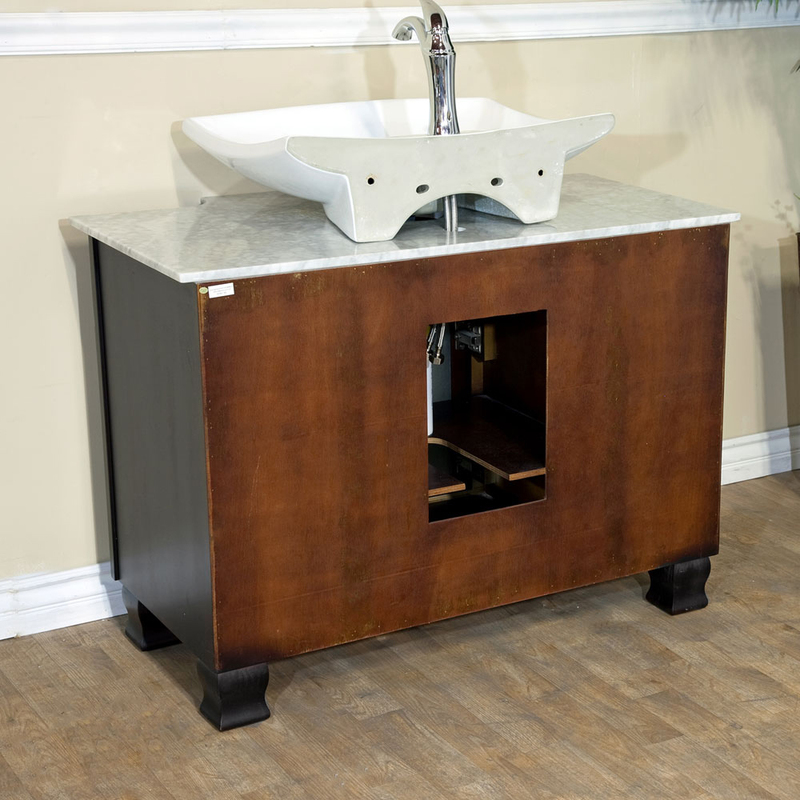 Choose from three beautifully modern vessel sinks.